Five pathways to self-awareness that awaken passion. Help clients identify their deepest yearning and make a difference. Powerful holistic approach filled with wisdom, insight, and inspiring stories. This book integrates best practices in the field of facilitation. You'll find resources and inspirational stories from facilitators, coaches and social change activists from around the world. When it comes to building successful soccer teams, pre-season is a critical time. It’s the perfect time for the coach to create a team identity, set standards, develop effective training habits, and reinforce winning behaviors. 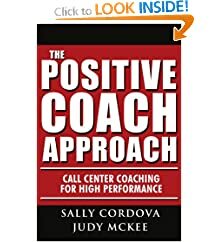 A highly recommended resource book that all coaches should own. this book is a marvelous 'insider guide' to the art of defining your coaching niche. A course for anyone charged with the task of improving call center performance in the form of customer satisfaction, increased sales, shorter call times, and greater employee satisfaction. The authors-two highly successful coaches and one bestselling marketing guru-draw on their own experiences to help you uncover and exploit the unique blend of skills and knowledge that you possess to be a top coach. Now, the advice that was worth millions to the heads of today's top companies is available in an affordable paperback. It includes timeless advice on how to control your attitude, align your speech patterns with your intentions, build the self-esteem of people around you.